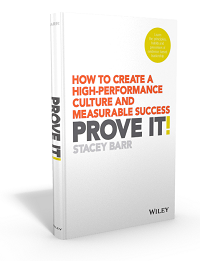 One of the challenges of making data-based decisions – using our KPIs or performance measures to guide our choices – is that often the data can prove us wrong. As Seth Godin says in his post The Do Over, if we’re really going to let data inform our decisions, we have to be brave in admitting when we were wrong. We need to practice courage in a culture that rewards us for being right. As Seth suggests, the key is in choosing how we talk about the data and our decisions, and what we learn from failures, with others. I am Mohammad Moniroll Islam, Manager (HR), at Ceramics table ware ( Porcelain ) factory. Total manpower 1600 persons. Officer- 81, Supervisor- 114, Workers- 1280 and Office staff- 125. How I can they KPI system stared. Where will be start. Please briefly written document. 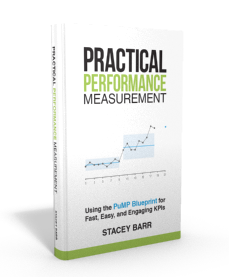 But please note that my work focuses on measuring the performance of processes, not measuring people.